Obituary for Aubrey Marie Holzer | McElvarr Funeral Homes, Inc.
Aubrey Marie Holzer passed away peacefully at home on April 8, 2019 in the embrace of her loving parents. She was 3 years old. Although tiny, she fought a hard and courageous battle with Neuroblastoma. She is the cherished daughter of Erica Michel and Michael Holzer. Loving granddaughter of Greg and Lisa Michel and Brian and Debra O’Neill. She is sadly missed by her great grandparents John and Mary Reim, Dolores Michel and Dorothy Kearney and her aunts, uncles, and cousins. 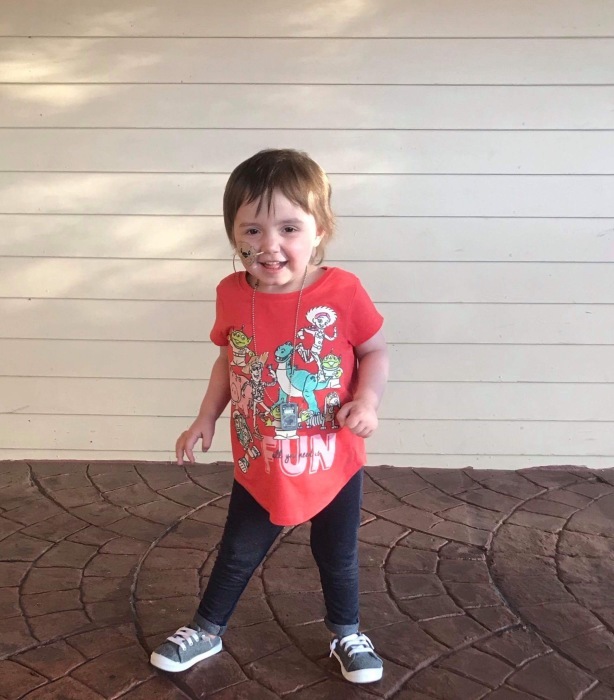 Aubrey will be remembered as a sassy, sweet, and smart little girl who marched to the beat of her own drum, trading in her dolls and princesses for dinosaurs, Avatar, and movies like Harry Potter and The Greatest Showman. She loved her family and being in her home. She will be painfully missed by all those who knew and loved her.